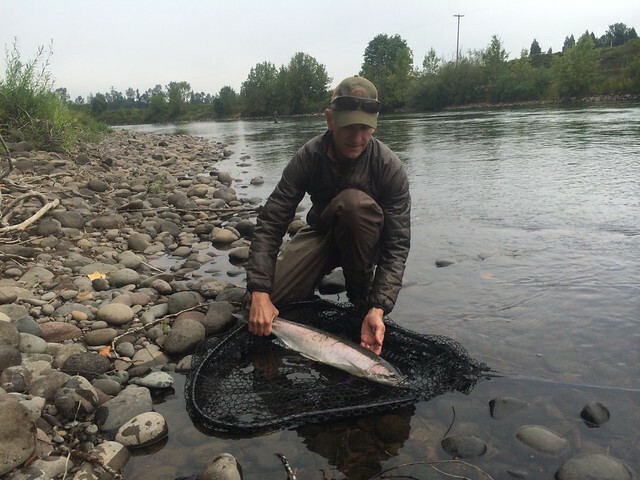 ← Eugene Area Summer Steelhead Report: 2014 Is Looking Good! These images document a couple of firsts. 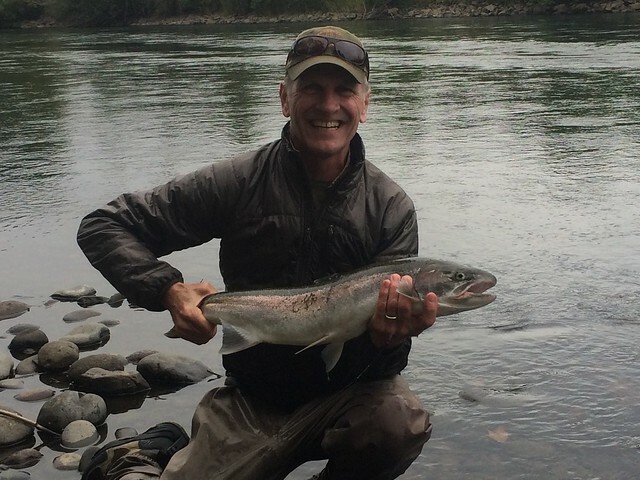 First steelhead on the swing for my guest Steve Ricker. I think this series of pictures is priceless. 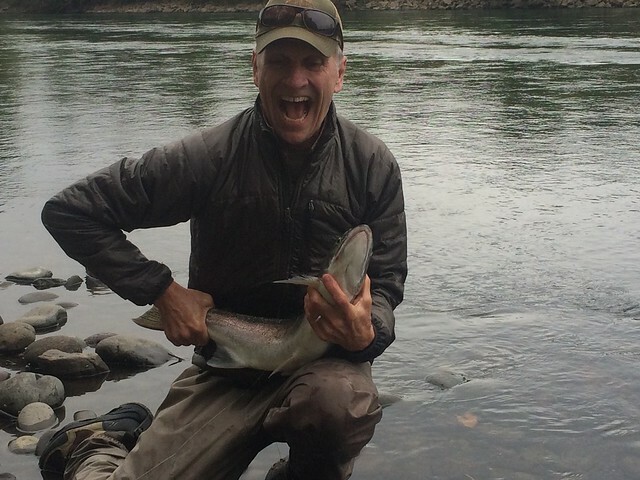 In the first image he has the fish firmly by the tail, and in the last picture is a pretty good grip and grin. The three images in between, however, document the fish’s last effort to get away, and the expressions on Steve’s face are hilarious. 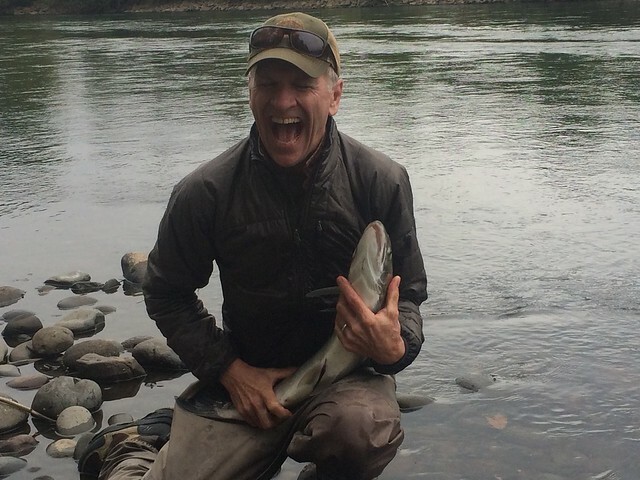 For those concerned for the fish’s well-being, it was a hatchery fish that was dispatched soon after being wrestled. 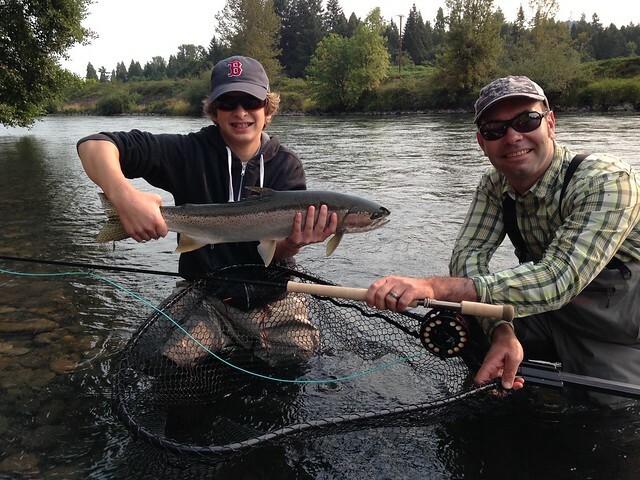 The last picture commemorates the first (and I am sure not last) steelhead caught by 12 year old Will Hendersen. Will’s dad had just bought him a sweet switch rod that he had never cast before, but needed breaking in. After the first spot and some pointers, Will was casting competently, and in the second hole of the morning this fish slammed his fly, and was into the backing, jumping before he even raised his rod tip. 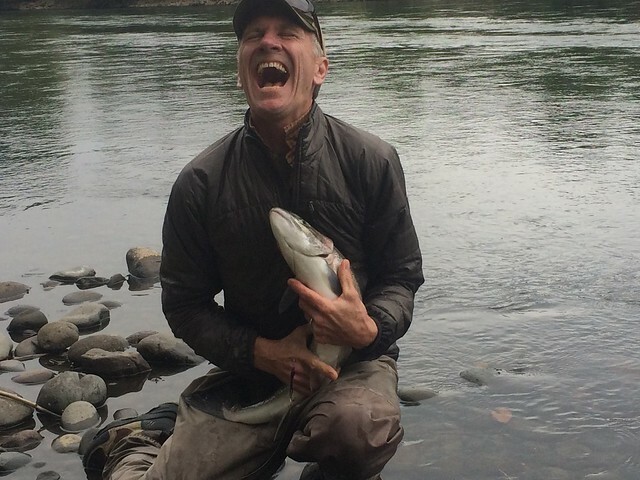 After his first steelhead encounter Will’s hands were shaking, and he wore a smile that looked like it would last for days. I hope everyone out there is having a great summer!